I’ve worked on many types of projects in my career, and the hardest ones are always the longer format documentary or interview pieces. Not necessarily because they are complex to edit, but organization is key, and if you can’t find things in your project, you’re pretty much hosed. Keep in mind, for every minute of finished product, you’re looking at at least one hour of B-Roll so finding things quickly is paramount. 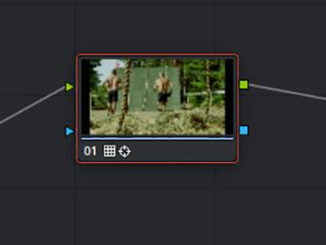 For Premiere editors, that’s where Power Search comes into play. PowerSearch from Digital Anarchy is designed to scrub through your projects and find all instances of whatever parameter you have it search for. Let’s see how it works! 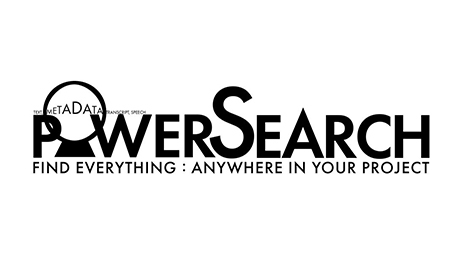 The first thing we need to do is to access PowerSearch. It’s not an effect, so you need to look for it in a slightly different location. 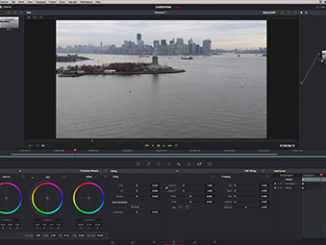 It’s actually an Extension for Premiere, you navigate to WINDOW>EXTENSIONS and you’ll find it (along with Transcriptive, if you have it installed), there. This does now beg the question, what exactly can PowerSearch search for. 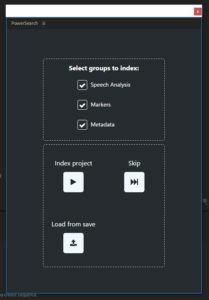 Well, it can search out any clips that have transcription in the Speech Analysis field or the Transcriptive Pane, Sequence or Clip Markers, Metadata and/or Captions (currently just SRT files). PowerSearch works on a project by project basis, and when you’re ready to start using it, you’re going to need to index your project to get things rolling in the right direction. Keep in mind that this has be done in each project you’re going to be using it in – what I mean by this is that you can’t index an entire hard drive that contains 75 projects. This is done on a project by project basis. Also keep in mind that the time it takes PowerSearch to index will be directly related to how big your project is. Bigger the project, the longer it will take. If you’re in a hurry, you could have PowerSearch index only certain groups, but to be honest, start it going, get a coffee, and wait. It will just save you time down the road. Once you’ve started adding newer media to a project, after you’ve already indexed it, there will be a new button, a “+” button in the search window that will have PowerSearch index only new media that has been imported since the last index, obviously saving you a ton of time. Something else important to keep in mind is that once your project is indexed, PowerSearch will still bring to you the “Index” window first when you launch it, so just simply “Skip” over that, and you’ll be brought back to the search window, and you’ll be ready to enter your data for a complete search of your project. Once the search is done, you’ll notice it’s broken down into the different search able parameters (Speech Analysis, Markers, Metadata, Captions). Found what you want and need to find it immediately? Simply double click on it, and PowerSearch will find the asset and open it up, and position the time bar on it in a matter of seconds. With that being said, we all know how we can run into problems easily when searching for things. Let’s use the word “and” as an example. I know you will never search for the word and, as it will bring back a million results, but you’ll see where I’m going with this in a second. If you punch in the word “And”, PowerSearch will bring back “And”, as well as “Band”, “Sand”, “Wand”, and any other word that contains “And”. So, how do you get around that in PowerSearch? Well, do what I did earlier, and simply add quotes around the word you’re searching for, and PowerSearch will restrict its search to only those specific characters, and ignore everything else. 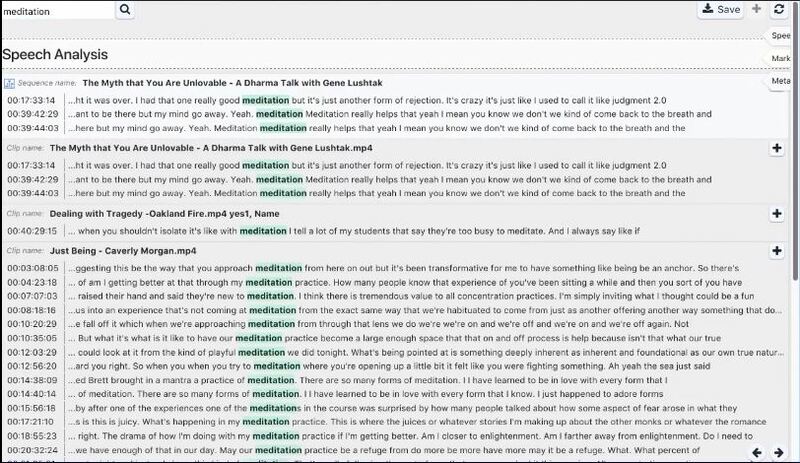 In the image below, you can see we’re looking for the spoken word “Meditate”. Once it’s entered, and you hit enter, PowerSearch finds all the transcribed instances first, and then markers and clip names next. So, I guess the real question is, do you need Power Search? 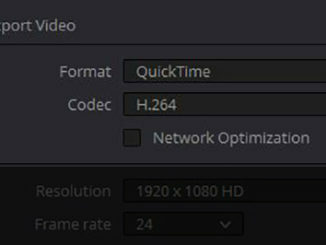 Well, if you’re a Premiere editor working in a medium to large project, and you find yourself constantly looking for clips based on Metadata inputs, dialogue, or any other “search able” parameter (like markers), Its my opinion after using it, that Power Search is an absolute must! A price tag of $149 might seem high, but if you’re invested in Transcriptive, Power Search goes with it like peas and carrots! If you’re interested, you can download both products as free trials from www.digitalanarchy.com .